today was super exciting at my day job with the debut of the essentials by ellen spring release. it's so fun to be a part of it even in a small way and the products are awesome! i was lucky enough to get to play with them a little bit early with my awesome friends during our crafty weekend. i'm in love with the bohemian garden set (and also with gold foiling)! head over to ellen hutson llc to see the whole collection and stop by the ellen hutson blog for a chance to win the whole collection! 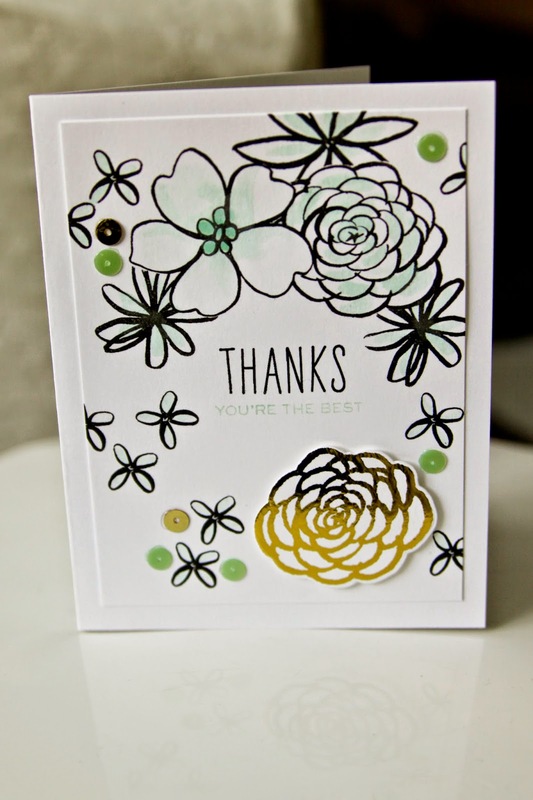 Thank you for letting us play with these and for showing us the gold foiling! I'm in love! And you are the best teacher!